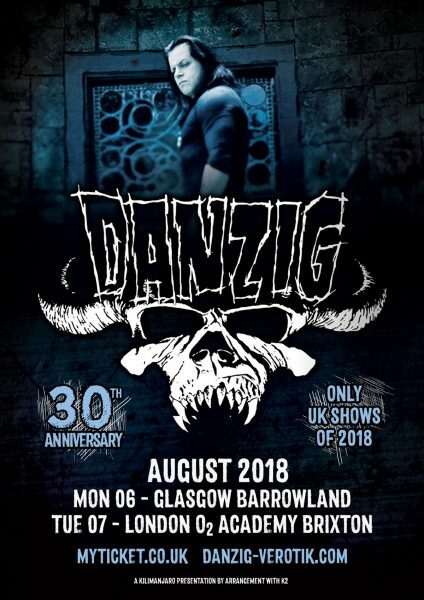 DANZIG CONFIRMS UK DATES – 3OTH ANNIVERSARY DEBUT SHOWS! 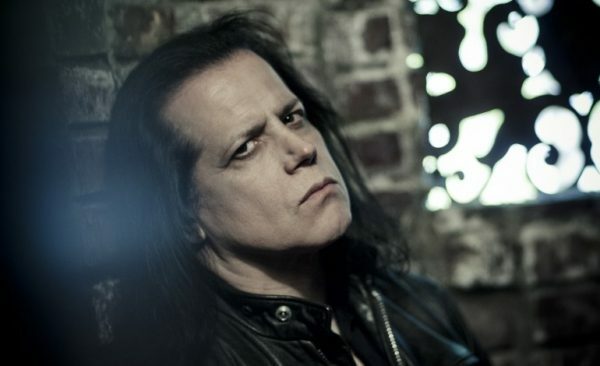 Launching a solo career that has to date spanned eleven albums, DANZIG’s self-titled debut unleashed his inimitable and unique brand of heavy blues rock upon the world, providing him with a suitable vehicle for to embrace his obsession with all things dark and gloomy post Misfits. Creating a haunting, brooding atmosphere with his distinctive vocal style, he has never been afraid to experiment, progressing from simple, blues-based metal to more atmospheric textures incorporating electronic and industrial flavours along the way. Tickets are on sale 10 am Friday 23rd March from this location.